A recent vacancy at EA’s Stockholm-based Frostbite Labs confirms that EA is now actively looking into VR and AR. A small multi-disciplined team within EA Studios, Frostbite Labs is looking for new ways and experiences to reach players. One of the team’s first initiatives is to explore opportunities in virtual and augmented reality. Frostbite Labs – a group that will help us push the boundaries of technology and shape the future of gaming. Frostbite Labs will begin as a small, multi-disciplined team within EA Studios. Based initially in Stockholm but reaching around the globe, the remit of Frostbite Labs is to explore the undefined or nascent opportunities for new experiences and ways to reach our players. These will be high-potential and possibly high-risk opportunities. Every project will have an intended destination within EA Studios or across Electronic Arts, and key measures to understand the return on each opportunity. The Frostbite Labs team will have a narrow and deep focus on a few selected projects at a time, working with partners both internally at EA and externally. Amongst the first initiatives of Frostbite Labs will be to explore opportunities in virtual and augmented reality. The team will also research initiatives from potential partners looking at entering the HD market. Frostbite Labs’ projects will join all the great work happening across Frostbite, our game studios, EADP, EA Mobile and other teams. And there will be other Labs initiatives starting in different parts of EA as well, amplifying our collective pursuit of innovation in new and exciting ways. The small team is looking for a Senior Software Engineer, and a Senior Game designer for virtual reality projects. 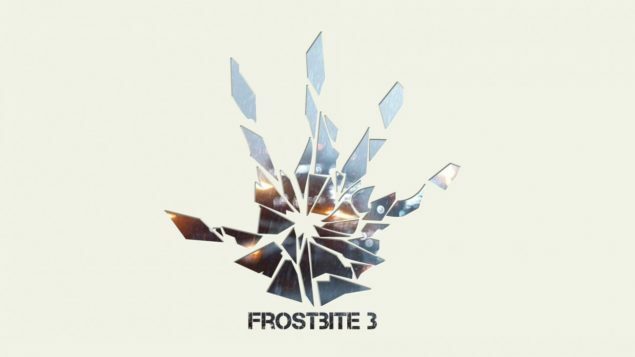 Last month, DICE’s technical director Johan Andersson already tweeted that the studios is building a “small VR frostbite team”. Interestingly enough, EA’s Black Jorgensen recently pointed out that they would show caution when it comes to virtual reality. There’s some challenges still and I think the biggest challenge is just the size of the market. We don’t make games anymore for the Wii or the Wii U because the market is not big enough, the PS Vita – the Sony product – we don’t make games for that anymore because the market is too small, so it’s all about the size of the market. Longer term, five plus years away, I think there’s certainly a market there and it will be another exciting way to enjoy gaming. Are you excited that EA is exploring the ways of VR and AR? What EA VR titles would you like to play? Leave a comment.